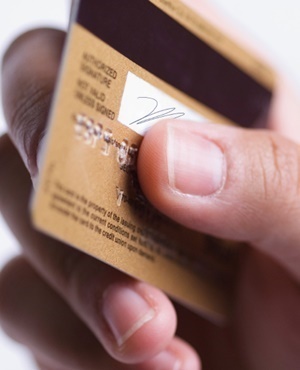 Cape Town- A proper impact assessment study is needed on the proposed National Credit Amendment Bill, according to the Consumer Goods Council of South Africa (CGCSA). It proposed to Parliament’s portfolio committee on trade and industry on Wednesday that both a socio-economic impact assessment as well as a quantitative impact assessment study (as called for by the SA Reserve Bank in the past) must first be done. The CGCSA suggested that the bill will put a large part of credit providers’ current debtor books at risk; create uncertainty; and place an increased risk on lenders. In its view, the bill could lead to, among other things, higher interest rates being asked and stricter lending conditions. The council argued that it would be against the purpose of the National Credit Act (NCA) if the consequences of the proposed bill make it more expensive for consumers to borrow money. The CGCSA is also concerned about the potential macro-economic impact the bill could have on investor confidence and even on SA’s credit rating. Since the aim of the bill is to assist indigent people, the council regards certain earnings thresholds proposed as too high and potentially creating drastic consequences for the economy if a large amount of debt is “extinguished”. The council emphasised that, in its view, there are better ways to achieve the aims of the bill. It feels there are existing remedies for reckless lending and also pointed to the importance of consumer education. A key concern for the CGCSA is the cost of debt review. It would rather like the debt review process to be refined. The council further regards the whistle-blowing obligations proposed by the bill as being inappropriate, impractical and “unworkable”. It also feels the power the proposed bill gives to the minister regarding debt intervention measures is too broad. The council would rather like to see an impact assessment study being done on the potential negative impact this provision could have on the SA credit industry, on job losses and on barriers to enter the credit market for consumers. The CGCSA further proposed that the offences created by the proposed bill come down to a “step backwards” for the industry. It argued that administrative enforcement would be more efficient and effective than criminal offences, especially given that the National Credit Regulator (NCR) and National Consumer Tribunal (NCT) were established to drive this kind of enforcement. In its presentation, the National Clothing Retail Federation of SA (NCRFSA) said it is worried that the proposed bill will create “a culture of non-payment” among consumers, which could have a negative impact on SA’s economy. This view was supported by one of the committee members who said it could have a negative impact, not only on the SA economy, but also on the country’s image “if debt is just allowed to be written off”. Like the CGCSA, the NCRFSA also believes there are other opportunities already available by which certain aims of the bill could be obtained.